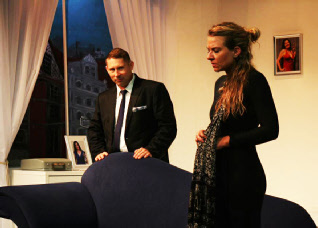 Twist, my stage comedy thriller originally produced at the Pentameters Theatre in London, is a six hander - 3 men and 3 women and uses one set of a London apartment. David Woods is a mild-mannered accountant who sees a sensational way of making a fortune by writing a kiss-and-tell biography about his venomous wife, Sarah, the nation's favourite actress from the hit soap Doctors and Nurses. 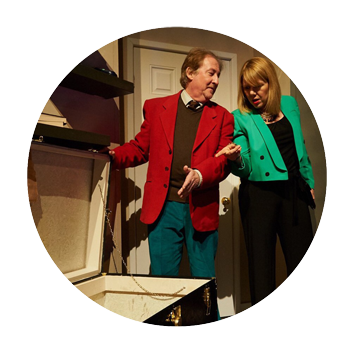 Twist is a hilarious spoof of the much-loved theatrical thriller where nobody is what they seem and nothing is what it should be! With all the ingredients you’d expect of a first class thriller, the cunning twists and turns will take you on a corkscrew ride of suspense and excitement. And just when you think you know what’s going to happen next, think again, as Twist catches you out one more time before the breath-taking denouement. Twist received its premiere 2018 UK tour by the Baroque Theatre Company. 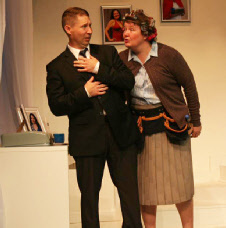 Produced by Claire Bibby, directed by Adam Morley and featuring Clive Greenwood, Thea Balich, Ellis J. Wells, and Claire Bibby. 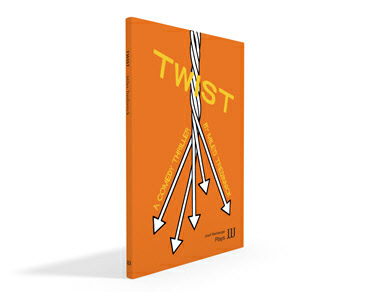 Read interviews about Twist here and here. Read the full review of the Adelaide production here. See more photos & posters from Twist here. For information about stage rights or to buy Twist contact Josef Weinberger Plays here.